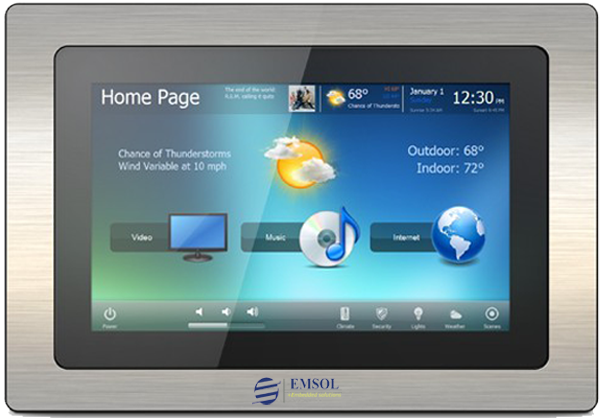 Emsol Smart Switch Board delivers the ultimate combination of convenience, comfort and cost savings. Turn Lights on or off, Adjust brightness, window blind control, Bio metric access, Fire Alarm system , CCTV System, Microphone& Wall mount speakers along with various sensors like Smoke, Motion, Temperature, Humidity, Glass Break, Gas Leak, Proximity, Vibration, etc and more integrated and control with a single Touch screen based switch board or from your smart phone or Tablet or Web or Remote control. Emsol Smart Switch Board transforms your space into a more secure, convenient and energy efficient environment using wireless Technology. Built to operate on Blue tooth 4.2 Technology for Low Power consumption .Smart Switch Board is easy to install anywhere without a worry of additional wiring. With the Smart Switch Board we integrated Energy Meter Module, So you can monitor and analyse energy consumption for each connected appliance or fixture in order to improve the energy efficiency of your living space, Create pre-set rules and take corrective action to reduce energy costs. 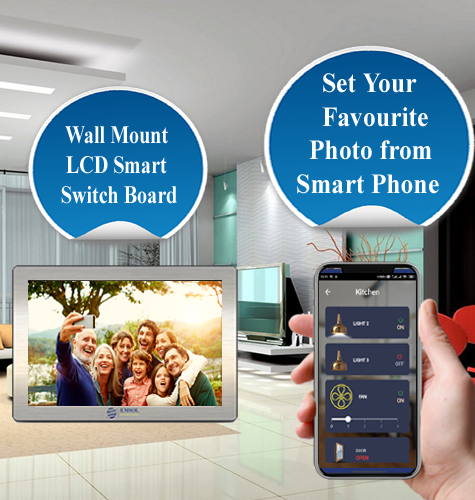 Emsol Smart Switch Board can be customized for your interiors. Our simple, modern Switch Board accentuate your walls just like a good piece of art!